Why not populate your layout with numerous people, animals and accessories...all at an affordable price. There are three different packages in either HO or N scale. 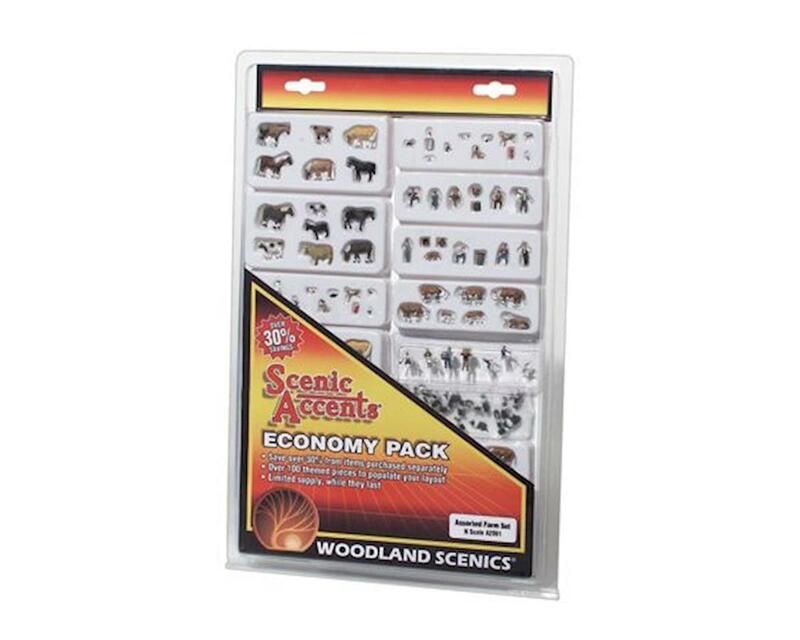 Each package contains over 100 themed pieces with savings over 30% from separately packaged figures. To attach, apply Scenic Accents Glue (WOOA198) and set in place.